If you love paintball, you will definitely appreciate what a great difference it makes when you have the appropriate paintball gun when playing. You will have the ability to shoot fast and more accurately. 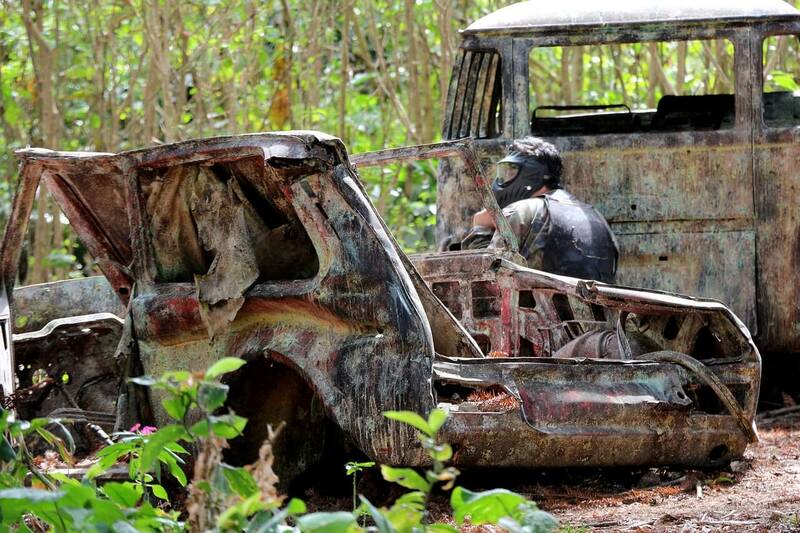 It doesn’t matter if you’re an amateur or a pro, in order to enjoy all that paintball has to offer as a game. To fully enjoy it you might just need to get your hands on one of the best paintball guns on the market. 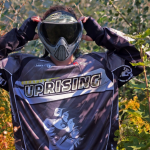 Besides that paintball has become more than a game people play once in a while or during a teambuilding and has morphed into a way of life for some. Nowadays the game can mimic real warfare situations to an uncanny degree and this is probably the main reason why it’s so popular, seeing how you can experience the adrenaline of being on the battlefield while just having fun with your friends. 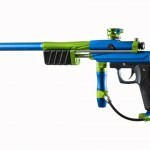 Therefore it is worth having some knowledge on the best paintball guns on the market. What is Paintball and How to Play Paintball? So what does a good gun look like? 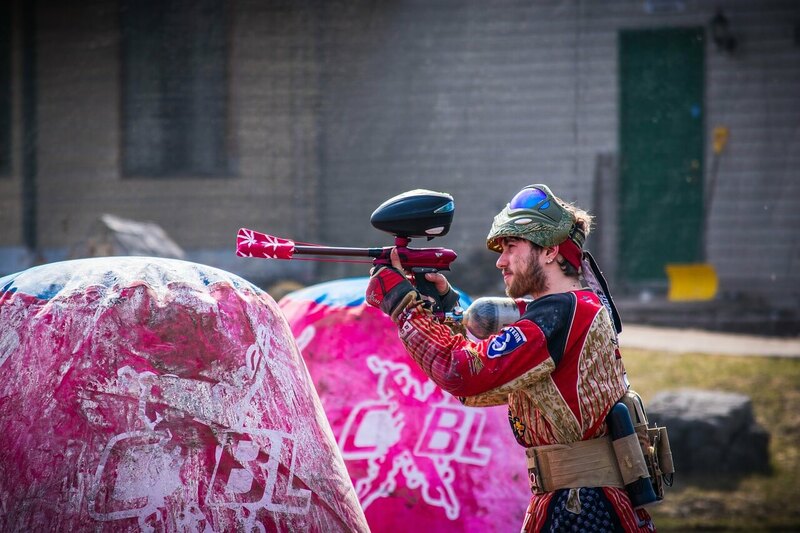 Actually, it is worth taking a better look at the world of modern paintball as a whole, to get the idea for what to look, in order to get the most out of this game. 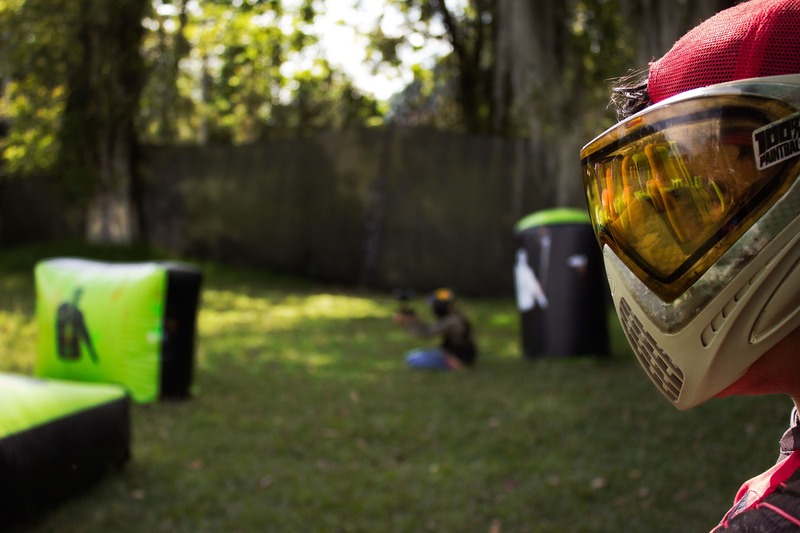 We present you some of the best paintball markers out there. Along with some other essential gear for the full paintball experience. Being so popular means that paintball has quickly evolved in a short period of time and that there is a lot of information out there, scattered all over the internet. This website is aiming to be a complete information source for both seasoned players and people looking to get into this game. In order to be on a competitive level, you will need the best quality equipment only and complete information on what is going on in this world. To keep up with all the latest gear and trends this will be the only source of information any paintball enthusiast will ever need. Paintball as a sport doesn’t need much introduction, anyone has heard of it and seen at least a few clips online with people getting splattered with paint while running through the forest. It’s all fun and games, however, paintball is a sport and like any other sport it has formal and informal rules. 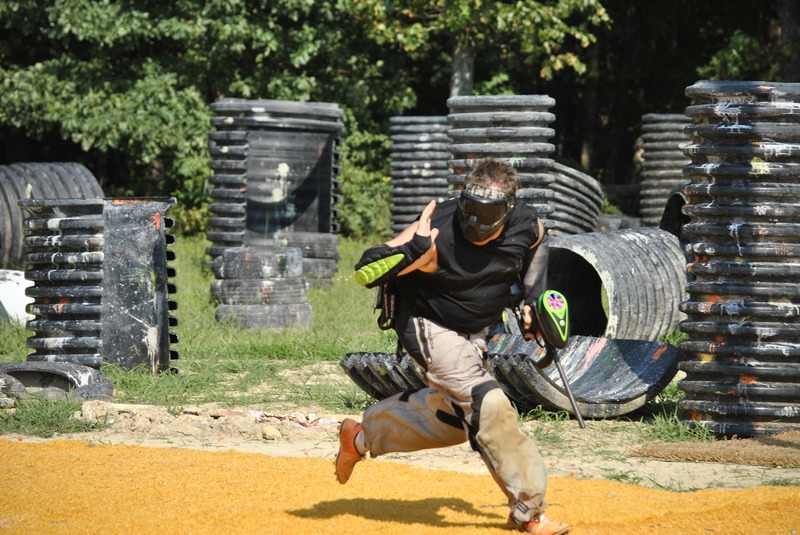 Nowadays paintball games are played not only for the amusement but as military training too. 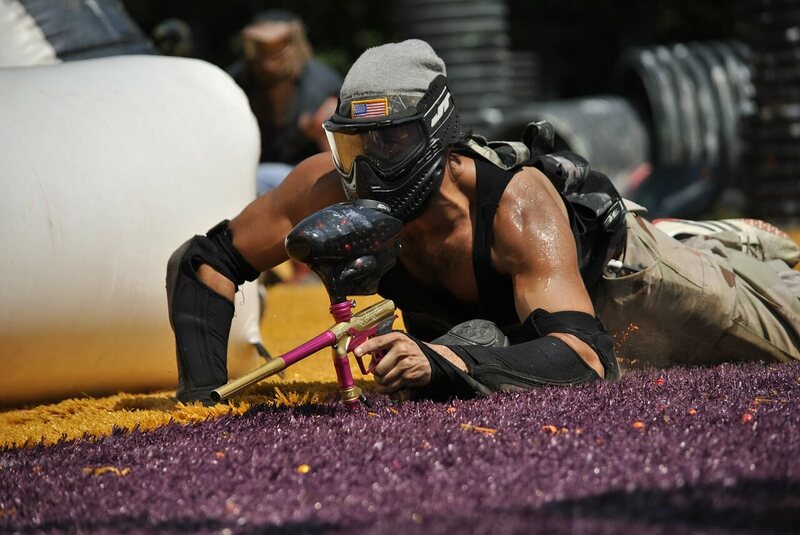 Paintball can be played virtually anywhere (outdoor, as well as indoor) and can be based on various scenarios like capture the flag, elimination, and other. Also, the rules may vary from game to game (in competitions) and for informal games can be agreed upon the beginning. There is one cardinal rule, however: if you’ve been hit you must leave the field. 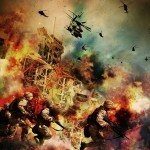 The name comes from Military Simulation and it’s exactly what it sounds like. This type of game is meant to emulate military combat conditions, without the horrors of war of course. The military part however only refers to planning out the mission and logistics and maybe to a slightly altered set of elimination rules. For example, if you get hit in the leg you can continue playing without using that leg. This is the most popular game mode and mainly refers to the location the games are played in. As you can imagine these games are played in woods, or at least that’s where it all originated. Nowadays the term refers to all the games played in nature and it makes sense to be the most popular seeing how the settings are already “built”. This type game is played mostly indoors and the main trait is that it is played in artificial conditions, meaning the obstacles are inflated objects (decision taken due to hazards that may appear in natural environments). The playing rules vary, however, this type of game is usually faster than the other types seeing how the field size is smaller. Besides physical skills the main thing that affects a player’s performance in a game is the gun also called paintball marker. Guns vary in shape, size, and price. Any passionate player should invest only in the best paintball guns as they don’t affect only performance but can help you enjoy all the fun of a game. If you’re new to the market and want to take part in any competitions, besides owning a high-quality gun you should also consult the competition rules as some require a certain type of gun with certain features. 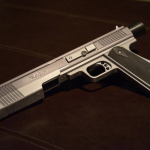 The body of the gun is made usually from aluminum and it usually has a standard design, however, there are some guns that mimic real models. The most important functional design difference is that paintball guns usually have the trigger frame around the middle of the body. This design is used so that the air/gas tank can be mounted more towards the center as well as ensuring compactness. On the other hand, this design makes for a larger profile. 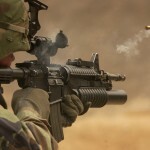 The trigger is another important part of the body as it affects firing rate and ease. The base models have a trigger operated by springs, however, these are rather inefficient as they have longer throws (distance the trigger moves in order to fire), thus lower firing speed and rate. The high-quality models (more expensive as well) have an electronic trigger (working on various principles) which can make for a faster firing rate. gravity feed – these are the most common hoppers mainly to the high capacity (variable depending the size) and also the cheapest since they’re basically a plastic container. The firing rate based on speed the hopper can supply about 11 balls per second. Although cheap and easy to replace, these containers don’t work very well with electronic markers (the firing speed can be higher than the hopper’s) and they have a tendency to jam (can be resolved by shaking the hopper). stick feeds – this consists of a stick like hopper mounted parallel to the ball and the main purpose is to keep a slick design. These loaders have a capacity of 10 to 20 balls and in order to load each ball in the firing mechanism, the marker has to be tipped. They are rather inefficient as you can tell. agitating – it looks just like a gravity feed loader, only it contains a spinning mechanism (propeller or gas system) to make sure the balls don’t get jammed. This is an improvement as balls don’t get jammed anymore, however, the feeding speed is about the same. 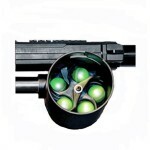 force feed – this is a high-performance feeding system reaching feeding speeds of 50 balls per second. The basic model looks just like a top mounted gravity feed hopper however it has an impeller that maintains a constant flow of paintballs. 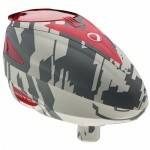 This is required in official competitions and is a must-have if you’re looking for the perfect paintball gun. In order to push the paintballs out through the barrel, a propellant system is used. liquid CO2 – the cheapest option, however, it has firing consistency issues, might cause to misfire in colder weather and might damage guns through leakage. The standard number of shots that can be fired is between 1000 and 2000.
high-pressure air – commonly known as HPA tanks, these are more expensive, however, don’t exhibit weather-related issues and ensure a constant firing capability. The same as CO2 tanks, HPA tanks have a capacity of 1000 to 2000.
propane tanks – these tanks work on a different principle, as the propane is ignited in a combustion center to create pressure. These tanks have a capacity of 30,000 to 50,000 shots and can be refueled easily as propane is available in lots of stores. On the flipside, it can cause burns if handled improperly after a long period of continuous shooting. plunger – some markers have an electromechanical spring- plunger to push the balls out, however, this is not a very popular design. length – it can vary depending on the model and personal preferences, however, the most common lengths are from 300 mm (12 in) to 410 mm (16 in). The thing to look out for is the venting ports (holes drilled in the barrel to vent gas). The closer to the thread these holes are the more silent the shot will be, however past that point the ball will travel based on accumulated momentum. If the ball has to travel too much the muzzle velocity will be lower. bore – it is the interior diameter and the most important thing is that you use an adequate bore barrel depending on the size of the paintballs. This is the single most important thing about the barrel, as having too big of a bore the balls will lose velocity and accuracy and using a smaller bore (than the diameter of the balls) means they won’t come out and will shatter inside the gun. Underboring – using a slightly smaller bore barrel than the paintball – is a common practice used to improve accuracy as the space is just a little too tight for the ball but not too tight to travel. 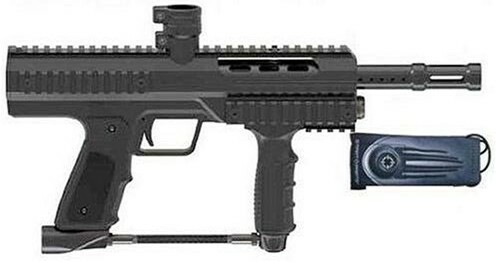 The most common type of paintball marker is the rifle model, however, there are markers in the shape of pistols as well. Pistols are mostly used as sidearms due to the small capacity (10 balls magazines and 20-30 shots capacity gas tanks), but there are players who want to show superiority and use them as a primary weapon. The advantages of a pistol are the high maneuverability, ease of reloading, smaller jamming rate. The bad part is that most official fields and competitions do not allow two guns. 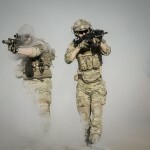 Other weaponry besides firearms type has been introduced in the world of paintball and however much fun they might be to use, most of the items are not allowed in regulated contests. 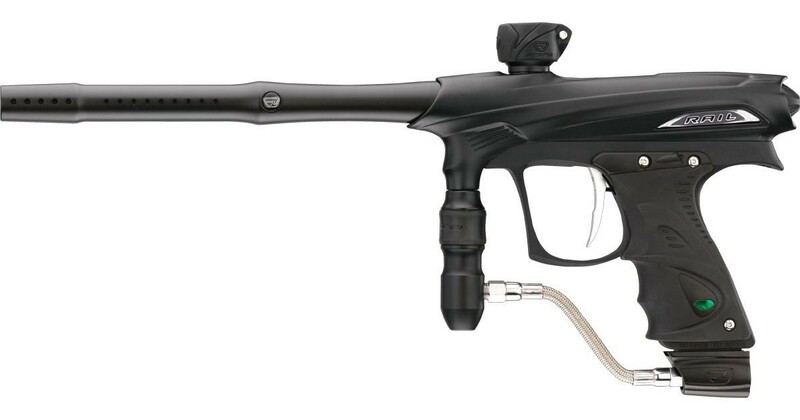 Having the best paintball gun on the market is not everything when it comes to playing. Paintball is not necessarily a dangerous game, however, protection gear is required. Seeing how the paintballs blast out of the nozzle at speeds of approximately 300 ft/s (90m/s) they can inflict serious damage to the skin and other soft tissue (like eyes). 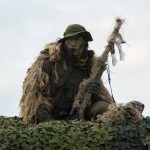 specialized clothing – this type of clothing is enforced with padding or even soft armor (usually for indoor competitions), depending on the average range of fire. athletic protector – a rigid cup like the ones used in football or other contact sports. Paintballs should also be viewed as gear, not just ammunition, seeing how higher quality balls can increase performance. Nowadays all paintballs are biodegradable and environment-friendly and are deemed food grade quality (harmless to the human body). 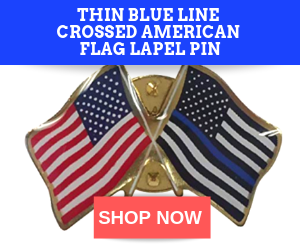 They come in different sizes, colors, and quality measured by how close to a perfect sphere they are (the closer the better), the thickness of shell (the slimmer the better) and color quality (the harder to rub off and easier to see the better). 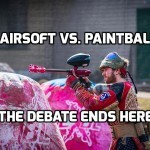 Investing in high-quality paintballs is very important, as lower grade ones might not shatter on impact (not a kill), may explode or brake in the barrel (needs cleaning) or the paint may be rubbed off too easily (opponent can cheat). Other gear one should have on the field with him is ball pods, which are meant for carrying spare paintballs around. Another good investment is a special squeegee used to clean the inside of the barrel if a ball bursts. Although some may not consider this a big issue, it will reduce accuracy, speed and might cause other balls to shatter. A good gun should securely fit in your arms and you need to always feel confident when utilizing it. You can save a lot of money in the future as you will not need to regularly rent one from the firm. You will also have the ability to customize it so that it caters to your exact requirements and your personality. The owner of a good paintball marker derives a lot of pride from this. Below are some of the best paintball guns and markers you can choose from and these are suitable for beginners as well as professionals in this game. Take a look at these reviews and be sure to find the paintball gun that suits your needs and playing style. For any more questions, leave us a message and we will try to get back to you as soon as possible. The Army Alpha Black Elite is a paintball gun which has a military style, gives high performance and is guaranteed to sweep you off your feet! 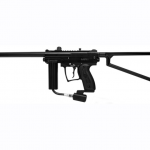 This unbelievably sophisticated army style paintball gun, normally found in matte black color gives you a feeling of having trained with the Special Armed Services! This gun is ideal for both beginners and professionals. 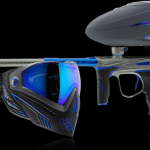 Army Alpha Elite is the latest updated version of the popular original, the Alpha Black.This gun has a unique ability to be customized, therefore providing extra benefits to facilitate the winning of paintball champion title! The T8 or Tac 8 was the first paintball pistol which was magazine fed. Even though it has been available for many years, it is still popular among paintball players who are seeking for a trusty sidearm. In the course of time, more upgrades and add-ons have been availed. This made the T8’s versatility to be even more enhanced. Items like the remote adapter and tool-less CO2 punch enabled the user to have various air options and ease of use. The Tiberius Arms paintball guns are very famous and even have their own following. A new T8 is ideal for any player seeking for a dependable pistol for close quarter battles or scenario functions. Any person who has carried out research on paintball pistols most probably placed T8 on top of the list. The selection for external firing mode has been in existence for some time. It was initially presented to the world of woods-ball via the owners of Tippmann A5. The latest E-Grip uses the trigger assembly for Hall Effect magnetic. This decreases the number of mechanical parts needed for the activation of the sear for firing. Five firing modes are available which can be programmed. The outer switch enables the user to alternate between semi-auto, safety and a mode which is custom programmed. This feature is important when the player goes to a different environment or the plan on the field alters calling for a different mode of firing. For any existing owner of Tippmann A5, this is a great gift. The latest E-Grip is meant to the top A5 upgrade. The SP1 has very low pressure, signifying less kick, enhanced efficiency, and accuracy. This is just part of the SP1’s description. 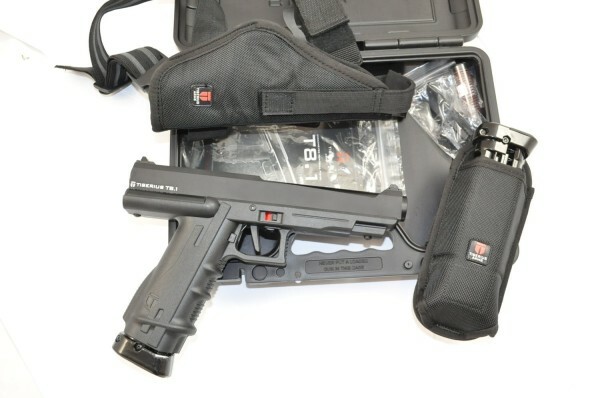 The SP1 is another gun which is included in Smarts Parts’ winners. The exterior shell has rails for more accessories like scopes, flashlights, and lasers. More upgraded parts can be expected for the SP1. It is an ideal gift for a beginner or a pro! The latest Gryphon Marker is light in weight and contains a number of premium features such as an internal gas line for a tidier appearance, a strong front grip which is ergonomically created; a center feed style to increase mobility and a strong body. It also has a blade trigger which makes pulling the trigger smoother and a ported barrel which decreases sound and enhances accuracy. 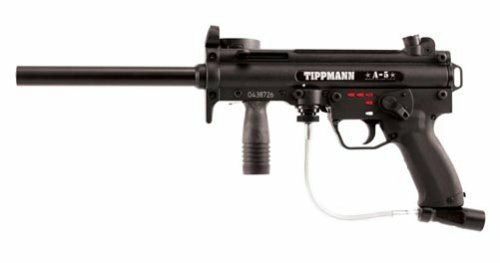 Its reliability is legendary in terms of the Tippmann inline bolt system in a new body structure and loader position to give a steadier feel to the marker. The Spyder Victor is lighter now by 15% and shorter by 10% giving it a brand new appearance and feel. A Striker Plug is available which is tool free to eliminate the requirement for tools when carrying out routine maintenance on the markers. This gun comes with a mask which has a visor and anti-fog lens, a body which is made of aluminum and is ergonomically designed. This gun’s design makes it easy to access the internal components for the simple installation of grip upgrades. There are modifications for secure front sight spring and also trigger pins which make it easier for servicing to be carried out. Its power tube design is easy to remove and can seal itself and also lock the gas line. This secures the valve firmly and removes two bolts from previous design which makes maintenance of the marker easy and fast. This gun’s main feature is the easy customization of the marker. It has a split receiver design which makes it easy to access interior components which makes it simple to install modifications and grip upgrades. It has a secure front sight spring as well as trigger pins that facilitate easy upgrading and modification of grip. 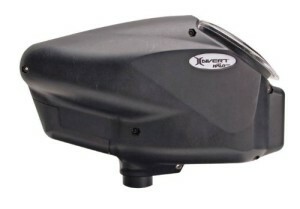 It has a matte finish which enhances the air efficiency of the marker and lowers the reflective glare. The magazine’s capacity is great which enhances the accuracy and one can shoot 11 balls each second without tank. For this product, Dye, who mostly builds for speedball fields, has taken onto themselves to build the ultimate woodsball marker. This gun looks and feels just like a real rifle, although it is a little on the heavy side if carried too long (4.76lbs/2.15kg without the clip). The best thing about the DAM Assault Matrix rifle is that as a feeding technique it can use both a magazine feed and a traditional top mounted loader (whatever type) and it can switch seamlessly between the two. This marker is advertised as zero ball break system and although this is almost impossible for any marker, the DAM Assault Matrix has the lowest breaking rate if using high-quality paintballs. One of the contenders to the absolute number 1 marker on the market, the Planet Eclipse Geo3.5 has traditional paintball marker body and can be highly customized, using any type of barrel and top mounted loader. This marker is completely hand built (out of aluminum) and extensively tested to offer the best performance. It has been designed specifically for speedball games, however, it can be used in whatever types of games. It also comes with embedded presets for several types of tournaments. The Planet Eclipse Geo3.5 weighs a mere 2.02lb/918g (without gas tank and hopper) making it one of the lightest on the market. The BT TM-15 is designed to resemble a military rifle and is intended for use in MilSim type of games. The body of the marker is very well-built and durable so it can be used without any worries in tougher situations and game types (woodsball and milsim). One of the issues of the BT TM-15 is that for unknown reasons it drains the battery rather quickly, however, this is very easy to replace so basically a non-issue. This marker has a standard marker body which can be loaded with any manufacturer loader and gas tank. The issue with buying a gas tank is that it should be tested before as ASA (air source adapter) is not adjustable and a longer tank may make the gun unevenly balanced. On the other side, it’s rather light and accurate. Besides the additional loader and tank which do not come in the package by default, you might want to change the stock barrel to a longer one. This is actually the mini version of the Empire Paintball Axe with the same features and pros and cons. However, one undeniable benefit of this model is the 1.99lbs/902g weight. The size can be considered a con by people with large hands. The weight and size offer this gun a great maneuverability and it is also sturdier being smaller. Make a decision on whether you should rent a gun or buy a new one depending on the number of times you play paintball in one month. If you play often, it is ideal to select a high-quality gun of your own. You should decide on the budget and remember you will have to purchase other parts of the gear from this game also. Another vital factor to consider is the cost of repair in case the gun breaks or becomes damaged in other ways. You should also consider how big the gun is and the weight as well to make it easy to carry. The gun’s color might depend on your taste. You should also think of the settings for speed and range of speed as well in which the gun is able to fire the paintballs. Another vital consideration is whether you need a paintball gun which is either automatic or semi-automatic. If you are a beginner, you might be wondering how to look for the appropriate paintball gun. As it is your first attempt, you do not need to buy complex guns. You can start with basic ones and then upgrade when you become an expert in this sport. This is when it is more important to own one of the best paintball guns. You can know the right gun by first playing the game several times. After this, you can tell which particular paintball gun you require, for example, one that has a scope. The Tippman 98 Custom is ideal for beginners. 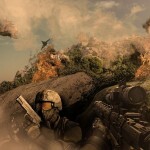 For experts in this game, their choice is more varied as they can handle any paintball gun. Yet they still would choose some of the best paintball guns over others. They can select from the wide choice available such as the Paintball Marker Gun, SP1 Paintball gun or Alpha Black Elite Marker. 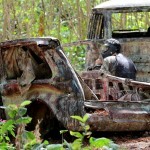 Paintball is a great competitive sport and can also be used as a venting strategy. 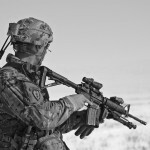 Regardless if you’re a veteran or just starting out it is very important that you have the right knowledge on equipment. First of all, you need to know that the most important item in paintball is the gun or marker so it is very important to invest only in the best markers available. Guns can come in various shapes and sizes depending on what type of gameplay they are designed for; they also come preset for those types of games. For example, if you’re mostly playing indoor speedball you should probably invest in a lighter marker, seeing how heavy and bulky models would only hinder your performance. Besides the marker, loaders and gas tanks are a very important part of the overall gun system and even though you will spend some extra money, quality will translate to performance. While gravity loaders are cheap, a force feed loader will increase the number of shots taken per second and decrease jamming probability. The same goes for CO2 tanks, even if cheaper, they offer less performance and safety than HPA tanks, which in turn are inferior in performance to propane tanks. Another thing you need to keep in mind when heading out for the field is the right safety equipment. Invest in a mask and padded clothing, there is no need to get injured while having fun. 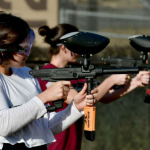 Other than that paintball can be loads of fun to play and any player should keep a competitive edge using only high-grade equipment and the best paintball markers.